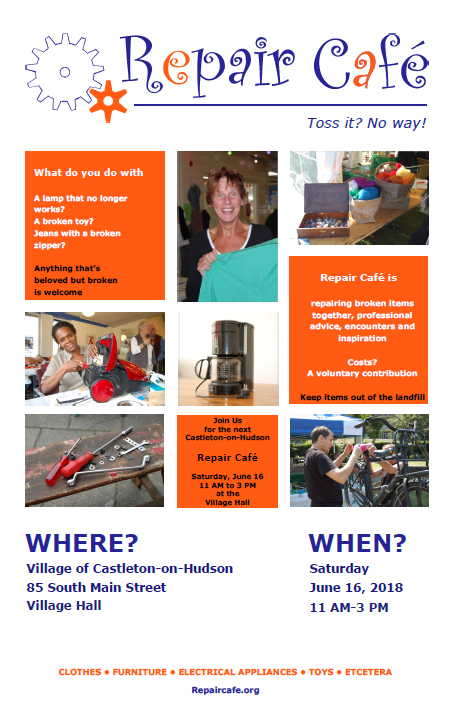 Castleton-on-Hudson is located in the southwestern corner of Rensselaer County, New York. It is part of New York's Capital Region, about 10 miles southeast of downtown Albany. On August 18, 2018, the Castleton-Schodack Kiwanis Club and the Castleton Road Racing Commission are once again sponsoring the CLOVE RUN. Four different race events will be staged: 10 Mile Run, 5K Run, 5K Walk, and a one mile Family Fun Run. Race events will be starting and finishing at the Castleton Elementary School. Donations and race registrations help support the race's beneficiary, the CCMS Anchor, a worthy non-profit food pantry in Castleton-on-Hudson that assists the area's neediest families. AARP Awards 2018 Community Challenge Grant to The Village! 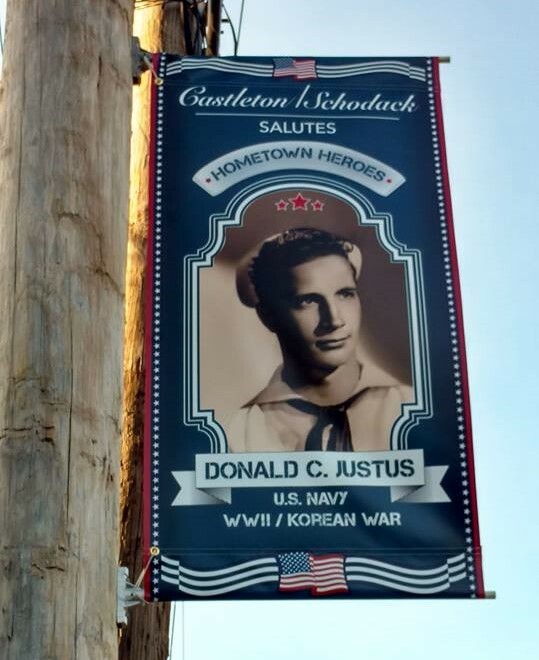 The Village of Castleton-on-Hudson, Town of Schodack and Peter Andrews Castleton Memorial VFW Post 7337 are proud to announce the Military Banner Program. Please download the form above to view the details of the program. 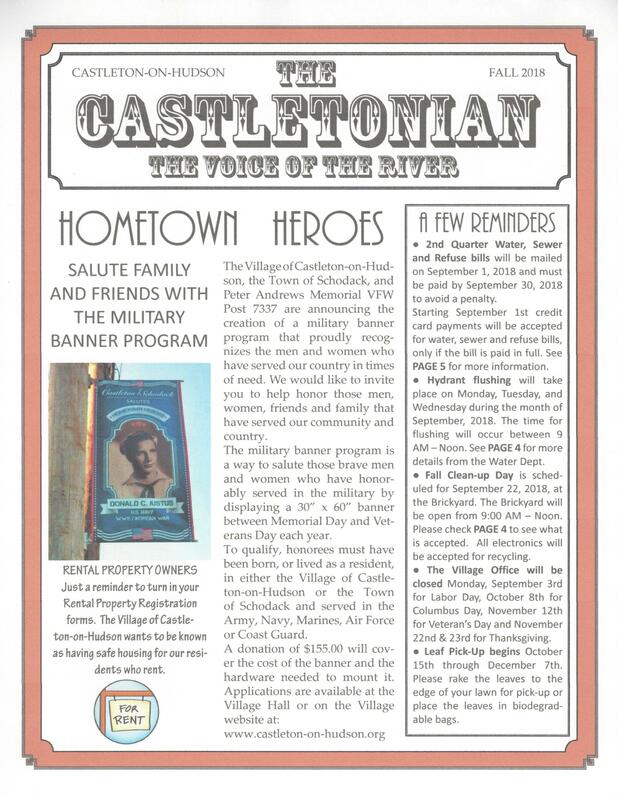 Mail the completed form, a high-quality military photo and a check for $155, payable to Gettysburg Flag Works, to Peter Andrews Castleton Memorial VFW Post 7337, 105 Scott Avenue, Castleton, NY 12033. 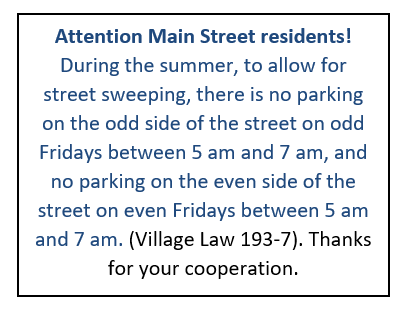 Beginning July 1, 2018 the Village of Castleton-on-Hudson will be contracting with County Waste to provide garbage and recycling pick up for our residents. The Village puts the contract for garbage and recycling pick up out to bid at the end of each contract cycle in order to maintain competitive pricing for the service. On June 25 and June 26, 2018, County Waste will be dropping off new garbage and recycling cans to residents. County Waste has been provided with the number of garbage and recycling cans that residents currently have and will provide the appropriate number for each address, which is one set of cans per billing unit. Their first pick up will take place on Wednesday, July 4, 2018. Regular garbage and recycling pick up will take place on Wednesdays. You should have the new cans in place before the last pick up from our current provider. The final day of pick up for the current provider will be on Wednesday, June 27, 2018. We ask that after garbage and recycling are picked up on that day that you keep the old cans empty so that they may be picked up by the current provider. The old cans can remain on the curb until they are picked up and will not be ticketed by code enforcement. We appreciate your patience and cooperation during this transition and we will continue to work to provide quality services to our residents. 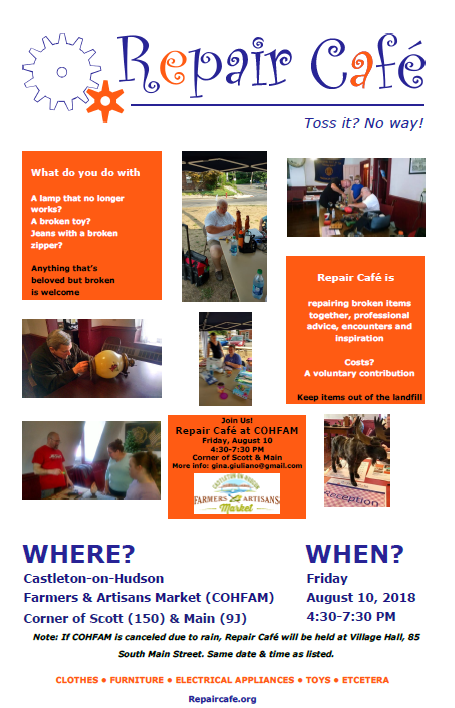 If you have any questions on the transition please call the Village Hall at (518) 732-2211 ext. 3. 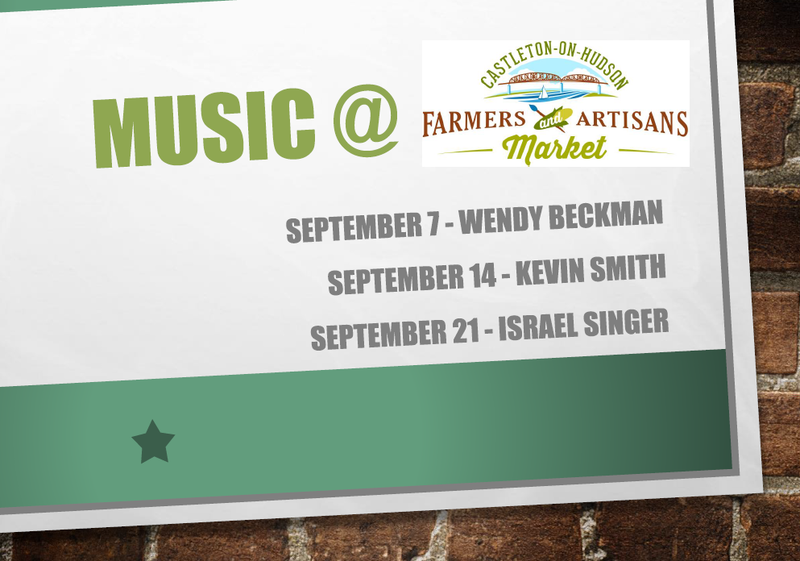 The Castleton-on-Hudson Farmers & Artisans Market is held every Friday from June 1 to September 28, 4:30-7:30 PM at the corner of Main Street (9J) and Scott Avenue (150).